The PhD candidate will be selected on the basis of the quality of the project proposal, her/his expertise, work experience and qualifications. To apply please fill in the application form (download here) and create 1 single PDF containing the application form and all other required documents. 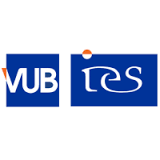 Please send this PDF by e-mail to jobs@ies.be.